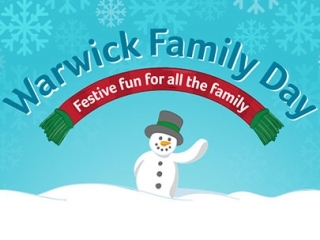 Whether you want to giggle along with the family to the fairy tales of Oscar Wilde, laugh-out-loud with friends to a gruesome ghost story, enjoy free festive activities or stretch your minds and be amazed – there’s something for everyone at Warwick Arts Centre in the run up to Christmas 2018! 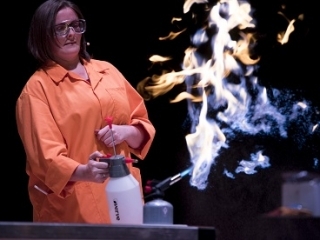 Join us for a sensational evening where scientists from the University of Warwick will amaze audiences with experiments and real life science. Be warned, these evenings involve audience participation, head scratching and mind boggling! 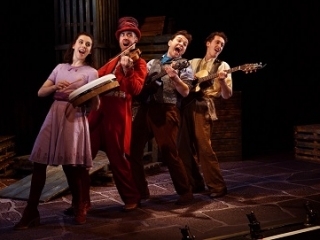 A motley crew of storytelling musicians bring Oscar Wilde’s classic fairy tales to life in Tall Stories’ magical new show, direct from London’s West End. These beautiful tales are a perfect Christmas treat for everyone aged 5 – 105, told with original live music and a generous dash of comedy. Join us at our winter Family Day and celebrate this magical time of year. Bring friends and family together and be creative with a range of free arts and craft workshops and get competitive in our programme of sports activities – all inspired by the festive season. More details announced soon! To keep up to date with the huge range of free events and activities on offer, click here. 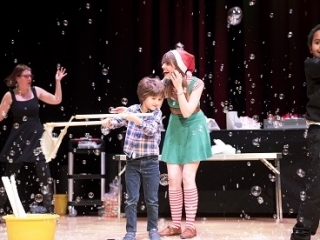 Want to see a different kind of festive show? Join us for a big Christmas night out with the spine-tingling, laugh-out-loud story of The Canterville Ghost, superbly adapted by the acclaimed Tall Stories, the master purveyors of a tale well told. 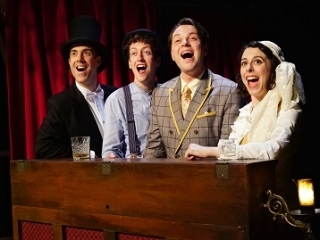 Combining theatre, music, magic and comedy in a delicious tribute to Victorian music hall, this is a charming alternative to pantomime with an affectionate nostalgia for the classic variety shows of the past.